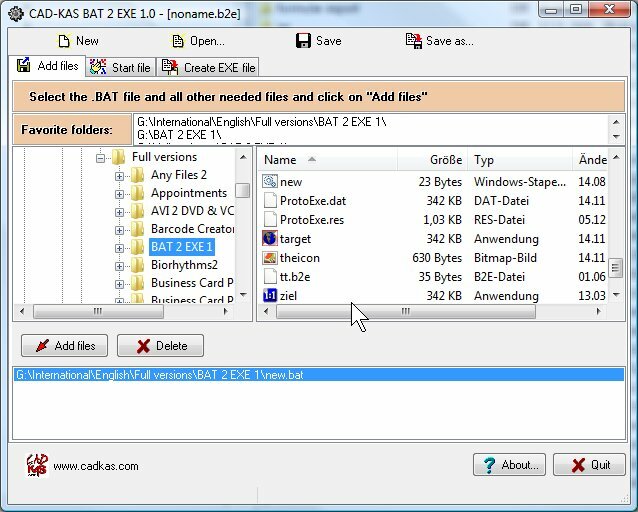 Create exe files yourself out of windows batch files (.BAT). So you can hide and protect the source code of your BAT files. You can select your own icon for your EXE file. Your application appears to be very professional if you provide it as windows program instead of a simple BAT file. Nobody can distinguish your EXE file from a normal command line application. This is perfect for you if you want to sell your scripts. You can pack all other needed files into this one EXE files. So you get one EXE files out of all needed BAT, EXE and DLL files. To create EXE files out of html files you can use our program HTML to EXE Baler. 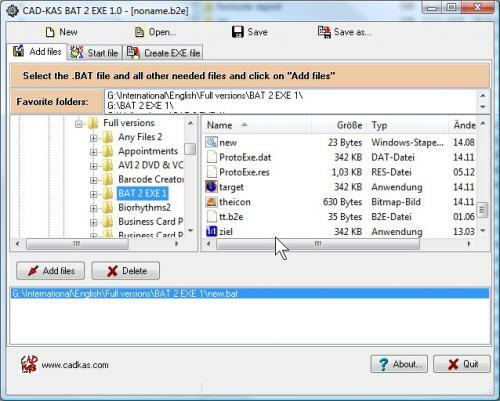 If you want to create EXE files from you HTML files you need HTML 2 EXE Baler.